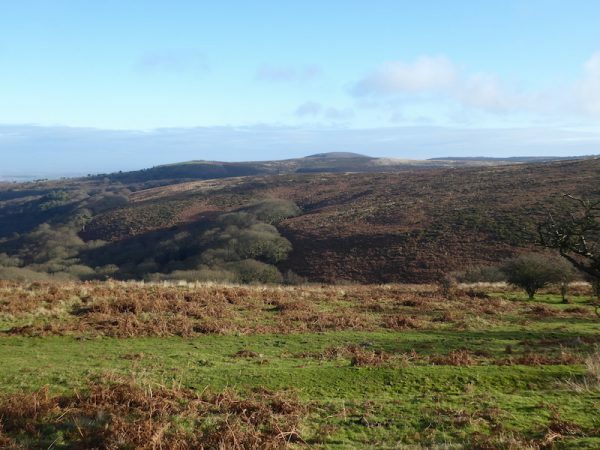 I reached my target of walking 2,018 miles in 2018 on the Quantock Hills in November. 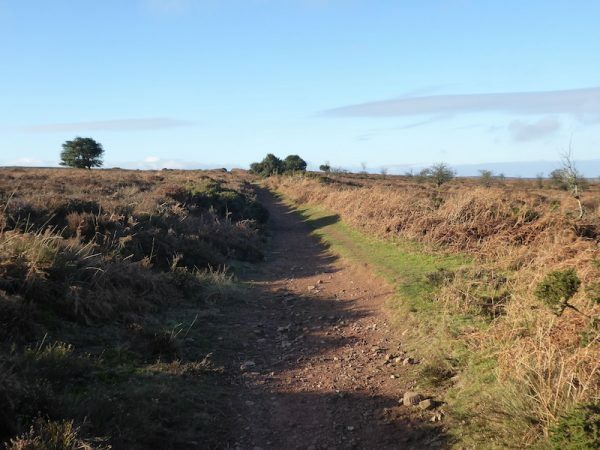 I have recently committed to again take on the challenge of walking the year whilst raising funds for the Trussell Trust and have decided there would be no better place to start my 2019 challenge than back on the Quantock Hills. 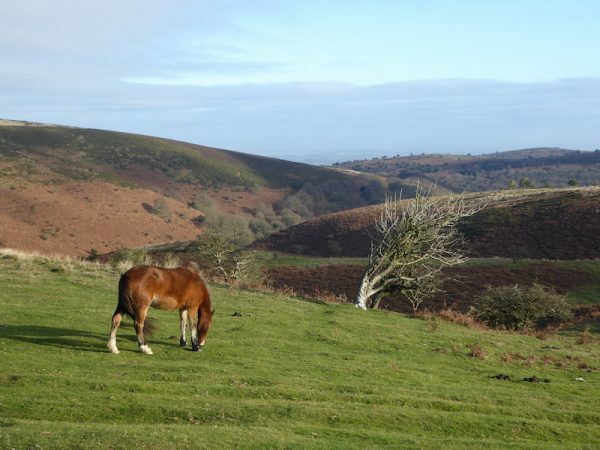 Regular blog readers will know we have a particular affection for Somerset and have walked on the Quantocks for more that twenty-five years. I can honestly say I have never seen it so busy as today. 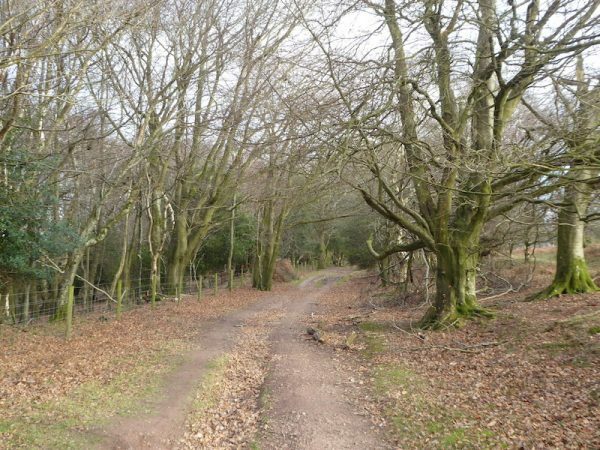 My usual default car park at Dead Women’s Ditch is full so we head back on the road towards Crowcombe Gate and take the rutted track up to the parking area on the right. It is at times like this I am grateful for the four-wheel drive on the Freelander. We start our walk by heading north for about 100 yards to meet a track where we turn left and follow the well-worn route towards Halsway Post. 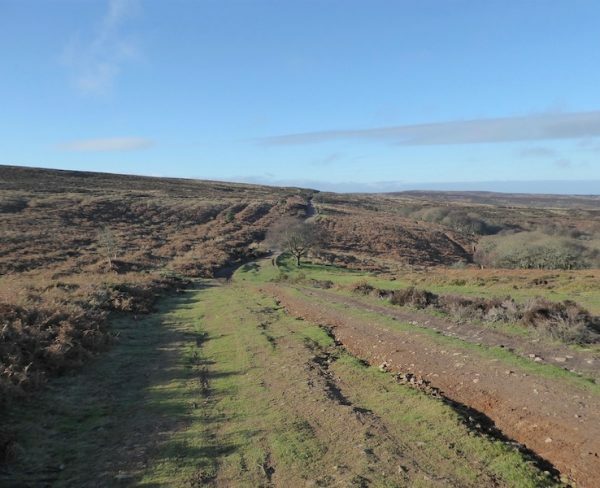 This track is a familiar route but we never tire of the views, we march along enjoying the early afternoon sunshine. 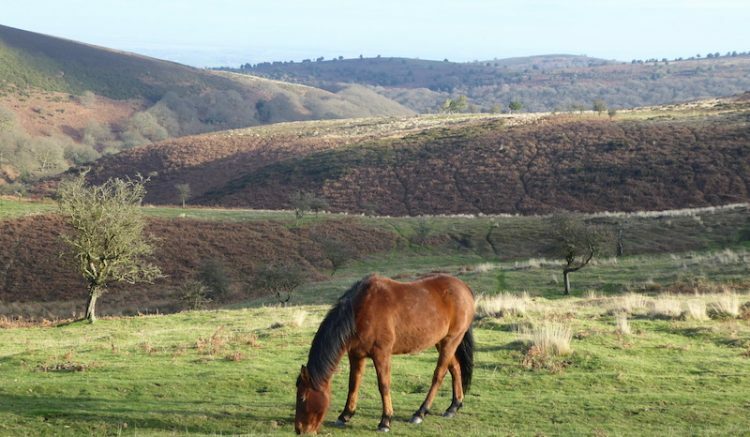 Even though familiar we still stop to admire the wonderful scenery back across to Dowsborough Hillfort. In a few hours time we will be going over the top of that hill! 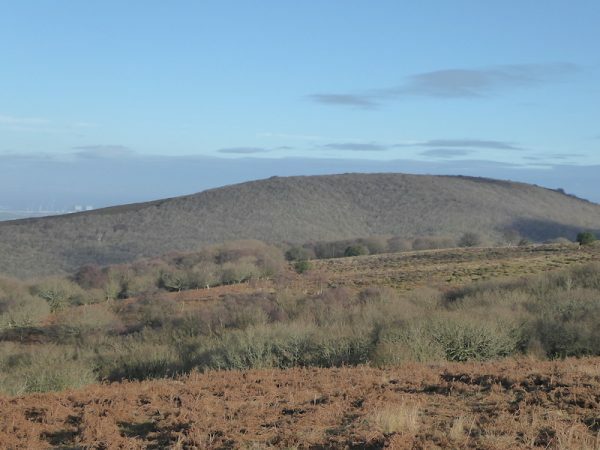 Despite the warmth of the sunshine there is a bite to the wind and we are grateful for being wrapped up as we reach Halsway Post and continue along the ridge towards Bicknoller Post. The beauty of walking on these hills are the numerous and varied combes. Each has a slightly different characteristic and over the years I have walked all of the ones around this ridge. Reaching the head of Sheppard’s Combe there is a small herd of ponies, they are making the most of the grass and sunshine and are totally disinterested in us. At Bicknoller Post we continue straight on and then a few hundred yards later fork left, soon we reach The Great Track where we turn right and follow this towards Holford. 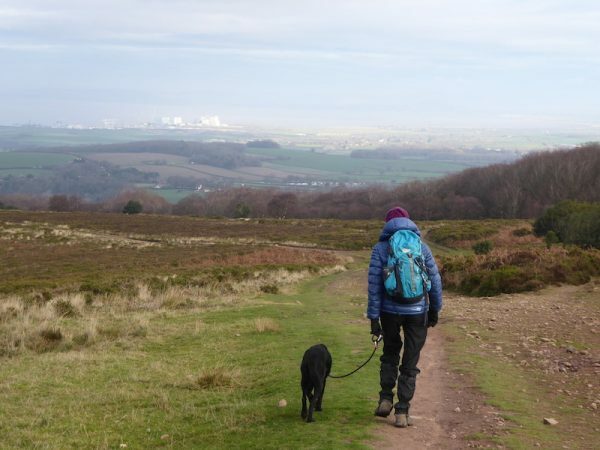 There are a network of paths here, some of which are marked on the map and others made by bike riders and walkers but we continue straight on and soon start to gradually descend with a view of Hinkley Point Nuclear power station in front of us. Since we were last here further progress has been made on developing Hinkley Point C power station (although personally I am not sure that building a nuclear power station can be described as progress!). 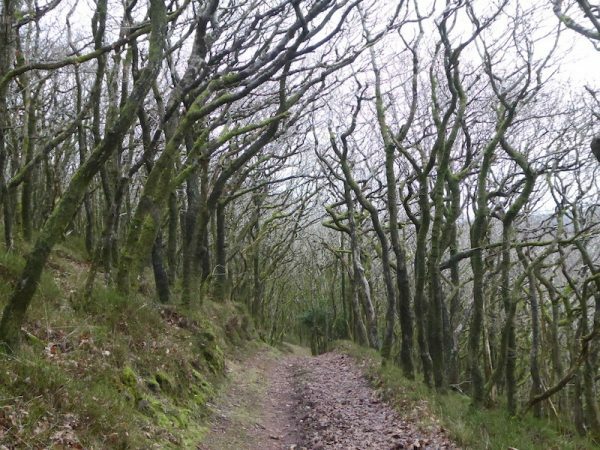 We continue to descend, keeping straight ahead ignoring all other paths and are soon walking through the trees on the edge of a plantation with the fence of New Ground on our left. After passing through a boundary gate we continue down the track. Still going downhill we reach the dog pound by the side of the road. This was built sometime in the 16thor 17thcentury to house stray dogs. 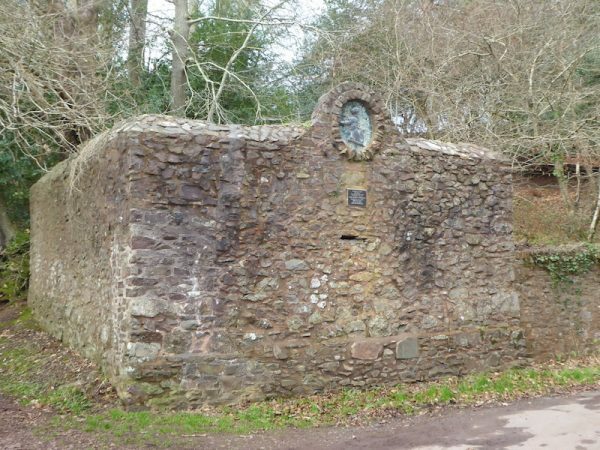 Apparently local hunting dogs were kept on the Alfoxton estate, cared for by the huntsman. The meat for the hounds was hung in trees attracting local stray dogs who unsettled the hounds. 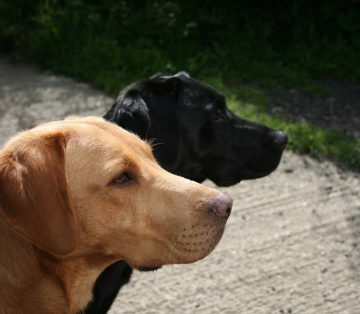 One night the huntsman was awoken by the sound of dogs and went to investigate, unfortunately he did not put on his normal hunting garments and as a result was attacked and killed by his own dogs. To prevent strays causing a repeat occurrence the dog pound was built. Turning right along the lane we soon reach Holford Bowling Green, despite the name it looks like it is many years since this area was used for bowling. However, there are a few benches conveniently located here providing an ideal spot for us to enjoy our first alfresco lunch of the year. Restarting our walk we continue along the lane to reach a junction of lanes. 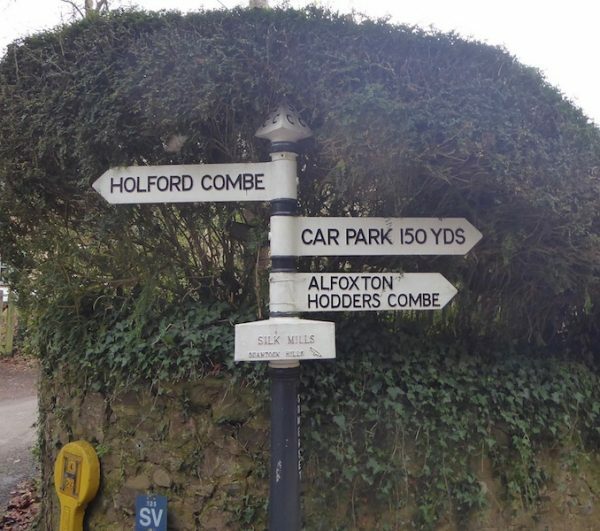 We follow the signpost towards Holford Combe, but within a hundred yards take a left turn to walk out of the village uphill towards the A39. 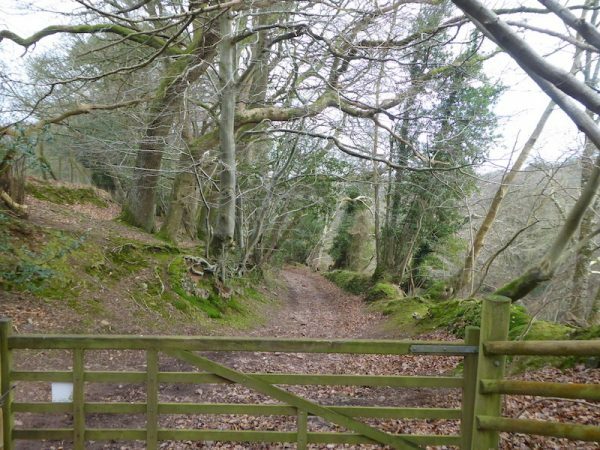 Just before reaching the main road we go through a gate on the right to follow a footpath up Woodlands Hill. Out of the trees we continue up to reach the cairn on Woodlands Hill and then continue straight on towards Dowsborough Hillfort. At the foot of the climb to Dowsborough is a junction of paths we carry straight on. But it is a reminder of the many potential routes from here. This area is all access land. However, to ensure it is not eroded unnecessarily we always try to ensure we stick to well-worn paths. 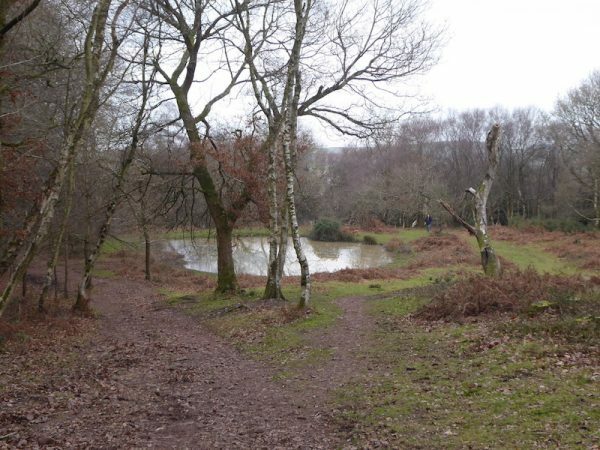 Unfortunately over the years I have noticed how the paths have spread or sometimes others decide they should forge a new route all of which has a negative impact on the area. 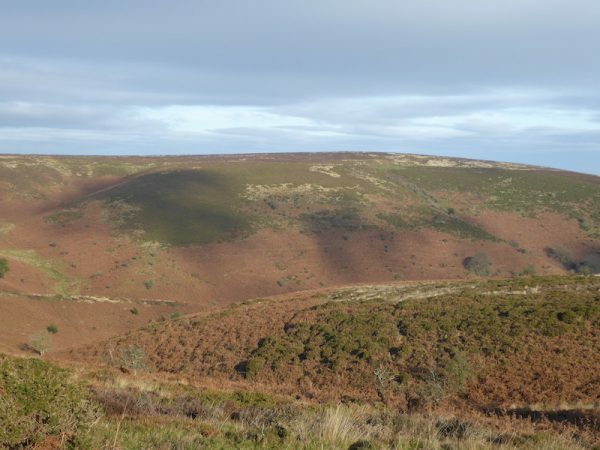 It is a steady ascent to the top of the hillfort. It is a while since we walked up from this direction, it is usually our route down from the fort, Lynnie says it is bit of a blow being her first serious bit of up for some time. But at the top the view makes the effort worthwhile. 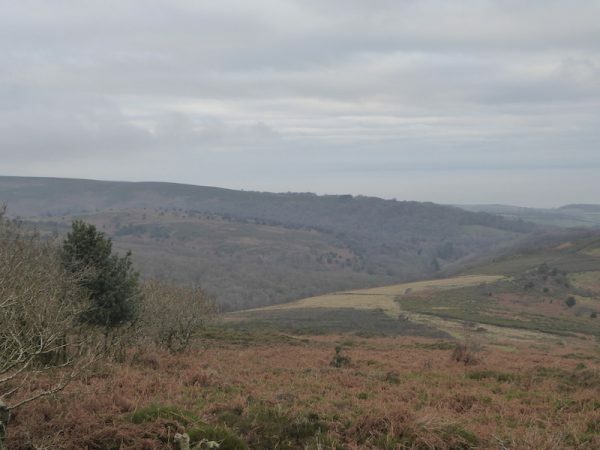 We ignore a path to our left but carry straight on and then take the path that gradually descends heading southeasterly above Lady’s Combe. At the bottom of the hill we turn right and then follow a path that heads steadily uphill with a tarmac lane about twenty yards to our left. 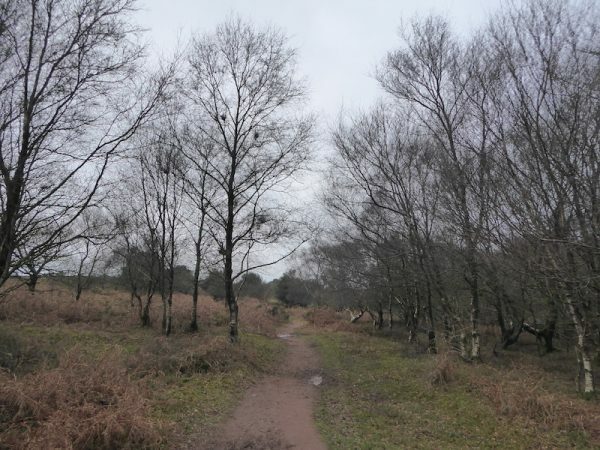 As we near Dead Woman’s Ditch the path joins the road and we continue uphill to reach the road junction by the car park. Here we turn right, briefly on the road, before taking a footpath that forks right to follow the ridge back towards our starting point. 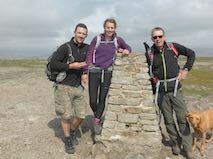 Back at the car we have covered just over seven miles, but the combination of the wind, fresh air and a couple of stiff climbs has made it feel longer and we are ready to return to the Coachman for a cup of tea and a well earnt rest.